I wish I was the artist but I’m afraid I have to settle with the last option. In light of the recent news of my article being chosen to be published (among other great pieces by subject matter experts) in EMC Corporations Proven Professional Knowledge Sharing Competition, I have decided to share a piece of the article now. Lately I’ve been reading a lot about “what is a Data Scientist” and after much research, I wanted to showcase what qualities an individual must possess to don the white coat! Data Scientists are unique individuals that push the boundary of machine and human learning in an effort to discover what cannot be seen by others. A Data Scientist is a balanced role and requires someone with the skills to organize, develop, create and share their work amongst their colleagues and upper management. This section is comprised of detailed explanations of three personas that every Data Scientist possesses: the Nerd, the Artist, and the Business Professional9 (Dutra 2015). We’re excited to announce our coaching in the most popular Massive Open Online Course: Machine Learning by Andrew Ng! We’ve got some beautiful new office space thanks to our buddies at AXA Belgium where we’ll be holding meetups to discuss and work through course materials. We’ll start Monday 4th of May around 7 pm, so keep a look out at our various channels of communication! Links are in the sidebar, and expect a Meetup.com event soon concerning address details, a Calendar file and so on. Data Innovation Summit – Satisfaction Survey. During the Data Innovation Summit, we asked you to fill in a short survey. Many among you were kind enough to do so. Below is a brief presentation of the results. 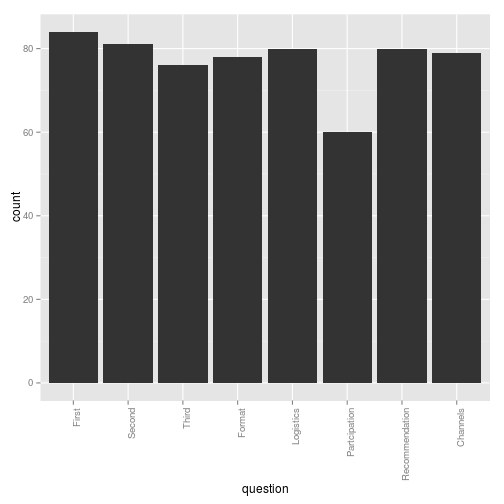 There were 85 responses; since it was a short survey, most respondents went to the end, as shown in he bar graph below. 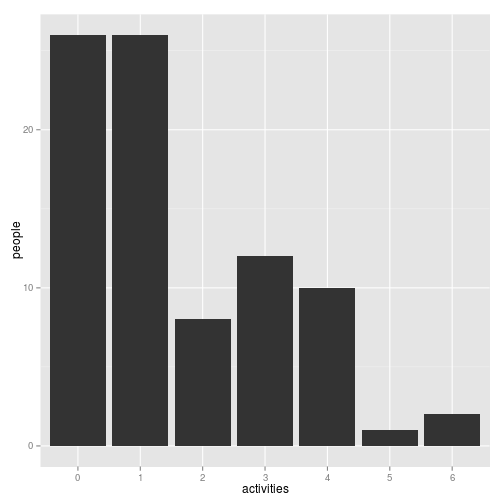 There is something of a ‘dip’ where we asked for the Brussels Data Science Meetup activities you would attend – probably we had quite a bit of visitors who came specifically for the Summit, and aren’t attending any regular monthly meetings. Where were the responses from? SurveyMonkey reports the IP addresses from which the responses were made. These were used to find an approximate latitude/longitude using FreeGeoIP (http://freegeoip.net/), and these locations were plotted on the Google map below. The vast majority of surveys were filled in Brussels, with some more coming from larger cities in the Flanders. Interesting to note is the lack of responses from the South of the country. Worth further investigation. Another piece of information we get from SurveyMonkey is the date and time of day the survey was filled. Below is the graph showing the time of day. 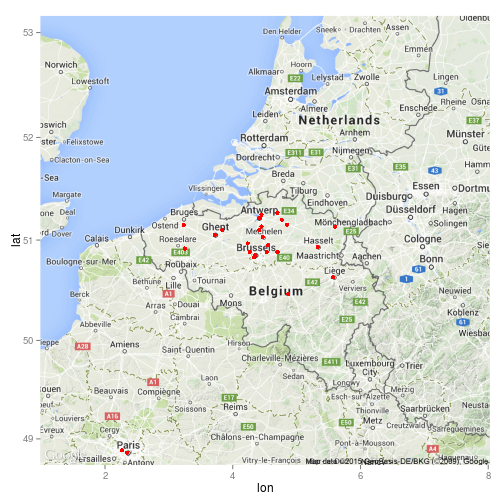 The plot above has the x axis in GMT – one hour earlier than time on the clock in Brussels during the period of the survey. 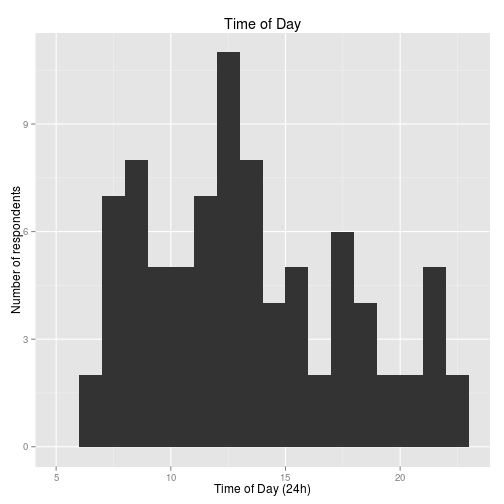 Still, we agree with Nele in her analysis of the main Survey that Data Scientists aren’t really that nocturnal (except for some, of course, as the time of posting this analysis might tell you). In the open-answer part of this question, we asked you for suggestions for presentations that were not on the programme, but that you would have liked. We received very useful suggestions. Several people would have liked more technical talks, others asked for more use cases. There were no clear ‘winners’ in the question what your preferred format of the presentations was. 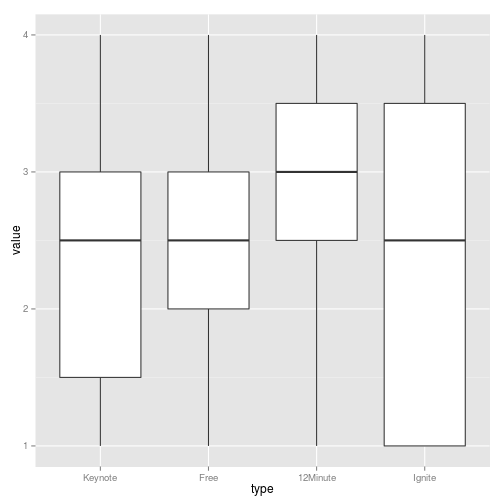 In the plot below, we show a series of box plots, for the preference for each of the formats. The thick line in a box plot corresponds to the median; 12-minute presentations were slightly more popular than the others. The ‘box’ in a box plot represents the interquartile range (the lower edge is the 25% quartile, the upper the 75% quartile). 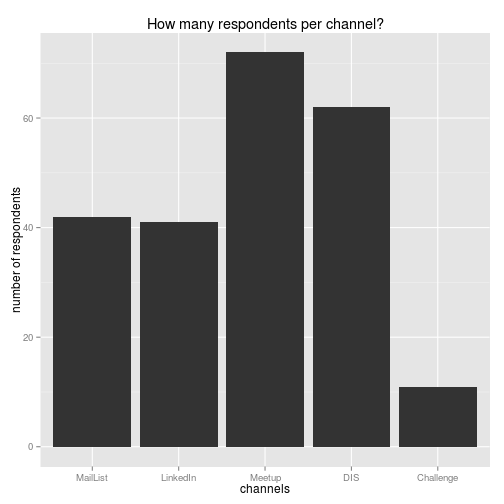 Clearly the ‘Ignite’ format has a very wide spread: some people like it best, others least. In the open-ended part of this question, several people commented on the fact that there just too many Ignite presentations, which made for a very fast-paced day, difficult to keep attention up. There were several suggestions to include at least some longer, in-depth presentations of 30 minutes. As an alternative, or complement to Ignite presentations, some suggested ‘posters’ – a very popular format in scientific conferences, in which authors do not present orally, but put their ideas on a single A0 poster. These posters are then on display throughout the meeting, and can be seen during the breaks; usually, there is at least one extended break in which people have time to look at the posters. 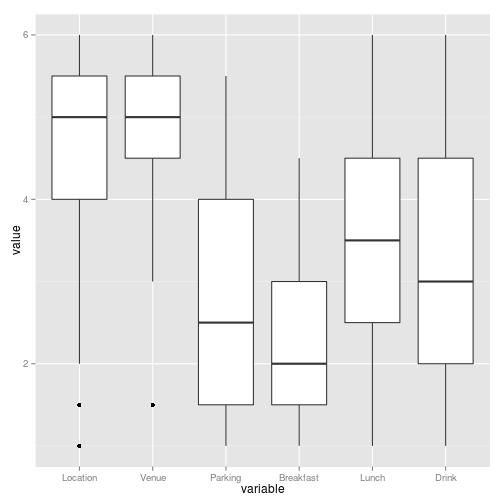 Both venue and location scored very high, as is apparent from the series of box plots below. Unfortunately we failed to include a possible response ‘Didn’t use/Didn’t take part’ – so it’s difficult to interpret the lower scores. For example, many people arrived after breakfast- they might very well have given a ‘neutral’ score to this part of the event, so artificially decreasing the score. Out of the 85 respondents, 60 stated that they were passive members, 19 active members, with the rest either not responding or stating explicitly that they were not a member of the community. 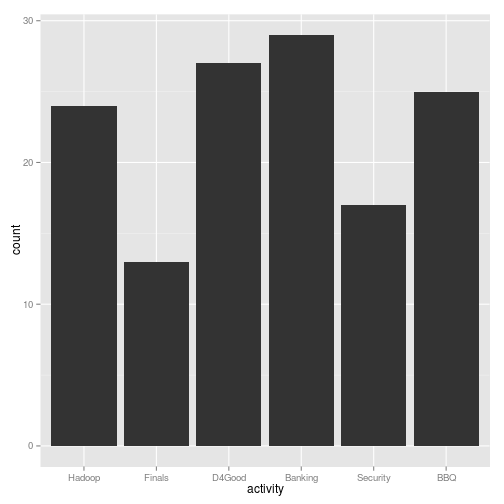 Many did expect to participate in one or several of he planned events, as shown in the bar graph below. Once again, thanks to all those who took the time to respond. 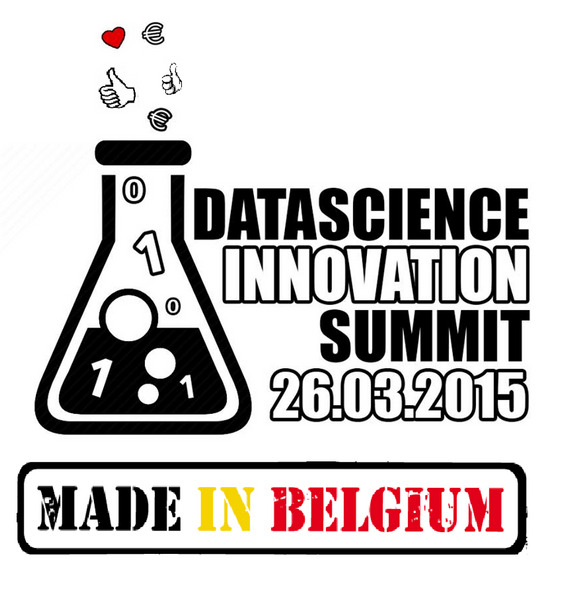 Your answers will certainly make it easier to organise the next Data Innovation Summit. Especially the suggestions were very valuable, and will certainly be taken into account when planning for a possible future installment. 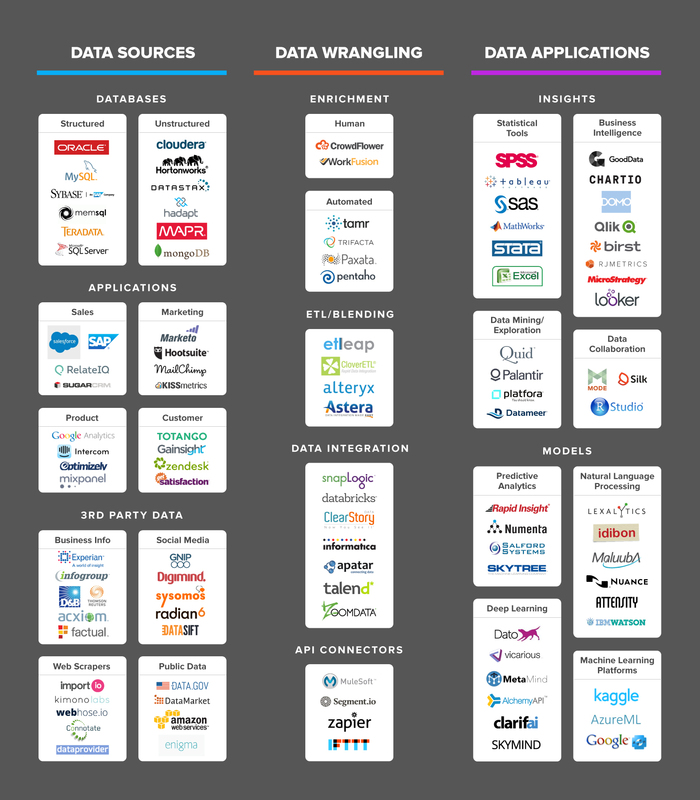 Taking 10-15 minutes to fill the Survey will allow us to make our picture of the Data Science landscape even sharper, and to make better decisions on future directions and activities for the Brussels Data Science community. Also the ‘Satisfaction’ survey, asking your opinion on various aspects of the Survey is still open, and can be reached here.